Background/Purpose: This study aims to analyze the incidence and type of various associated anomalies among infants with extrahepatic biliary atresia (EHBA), compare their frequency with those quoted in the existing literature and assess their role in the overall management. Materials and Methods: A retrospective study was performed on 137 infants who underwent the Kasai procedure for EHBA during the past 12 years. The medical records were reviewed for the incidence and type of associated anomalies in addition to the details of the management of the EHBA. Results: Of the137 infants, 40 (29.2%) were diagnosed as having 58 anomalies. The majority of patients had presented in the 3 rd month of life; mean age was 81 ± 33 days (range = 20-150 days). There were 32 males and 8 females; boys with EHBA had a higher incidence of associated anomalies. Of these 40 patients, 22 (37.9%) had vascular anomalies, 13 patients (22.4%) had hernias (umbilical-10, inguinal-3), 7 patients (12.1%) had intestinal malrotation, 4 patients (6.8%) had choledochal cyst, 1 patient (1.7%) had Meckel's diverticulum, 3 patients (5%) had undergone prior treatment for jejunoileal atresias (jejunal-2, ileal-1), 2 patients (3.4%) had undergone prior treatment for esophageal atresia and tracheoesophageal fistula, 2 patients (3.4%) had spleniculi, and 2 patients (3.4%) were diagnosed as having situs inversus. Conclusions: The most common associated anomalies in our study were related to the vascular variation at the porta hepatis and the digestive system. The existence of anomalies in distantly developing anatomic regions in patients with EHBA supports the possibility of a "generalized" insult during embryogenesis rather than a "localized" defect. In addition, male infants were observed to have significantly more associated anomalies as compared with the female infants in contrast to earlier reports. Context: Laparoscopic splenectomy (LS) is considered the standard approach for the treatment of children with nonmalignant hematological diseases due to the advances in the minimal invasive surgery over the conventional splenectomy (CS). Different techniques are involved in the operation to secure the hilum. Aim: The use of (Ligasure™) is a safe, effective, less time consuming and with less complications rate. 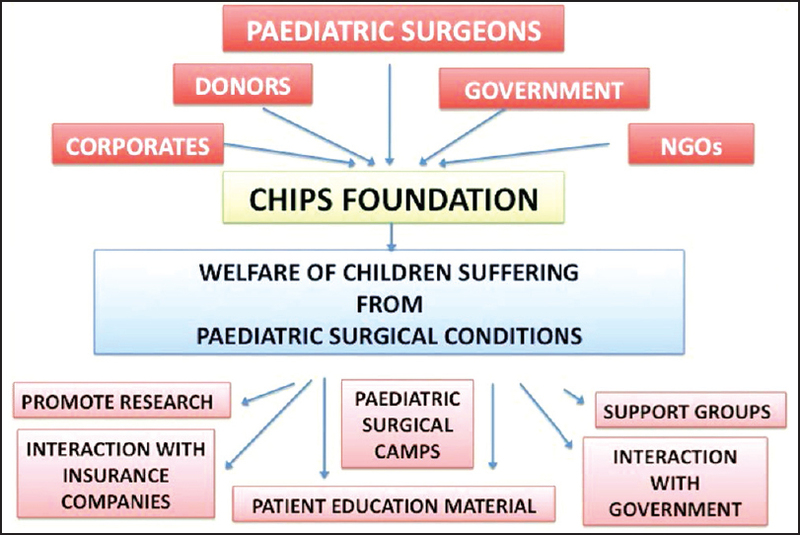 Materials and Methods: Sixty children (33 with thalassemia, 20 with immune thrombocytopenic purpura [ITP] and seven with spherocytosis) were operated during the period from June 2007 to December 2014. These children had undergone LS using (Ligasure™). Three ports were used in small-sized spleens while four ports were used in large spleens. Results: There were 60 children (37 girls and 23 boys) with a mean age of 10.2 years had LS using Ligasure™ with mean operative time of 85 min for cases of ITP and 120 min for other cases. There was no mortality. Two cases were converted to CS. Conclusions: Use of Ligasure™ alone was safe, less time consuming with less complications rates. 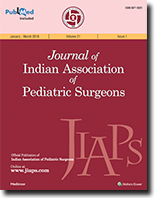 Aim: The present study was aimed to assess the contractile status of neonatal small intestinal smooth muscle of dilated pre-atretic part of intestinal atresia to resolve debatable issues related to mechanisms of persistent dysmotility after surgical repair. Materials and Methods: A total of 34 longitudinally sectioned strips were prepared from pre-atretic dilated part of freshly excised 8 jejunal atresia type III a cases. Spontaneous as well as acetylcholine- and histamine-induced contractions were recorded in vitro by using organ bath preparations. Chemically evoked contractions were further evaluated after application of atropine (muscarinic blocker), pheniramine (H1 blocker), and lignocaine (neuronal blocker) to ascertain receptors and neuronal involvement. Histological examinations of strips were made by using Masson trichrome stain to assess the fibrotic changes. Results: All 34 strips, except four showed spontaneous contractions with mean frequency and amplitude of 5.49 ± 0.26/min and 24.41 ± 5.26 g/g wet tissue respectively. The response to ACh was nearly twice as compared to histamine for equimolar concentrations (100 μM). 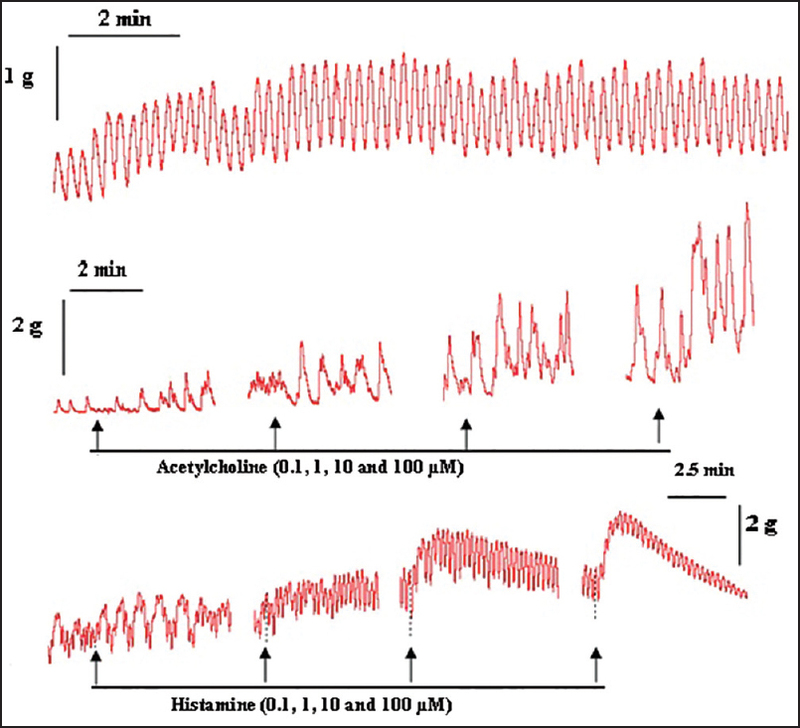 ACh (100 μM) induced contractions were attenuated (by 60%) by atropine. Histamine (100 μM)-induced contractions was blocked by pheniramine (0.32 μM) and lignocaine (4 μM) by 74% and 78%, respectively. Histopathological examination showed varying degree of fibrotic changes in muscle layers. Conclusions: Pre-atretic dilated part of jejunal atresia retains functional activity but with definitive histopathologic abnormalities. It is suggested that excision of a length of pre-atretic part and early stimulation of peristalsis by locally acting cholinomimetic or H1 agonist may help in reducing postoperative motility problems in atresia patients. Aims: To investigate the role of feeding jejunostomy (FJ) in patients of esophageal atresia with anastomotic leak (AL) to decrease the degree of gastroesophageal reflux (GER) and its effect on anastomotic healing. Materials and Methods: Twenty neonates, with major AL and severe GER after primary repair were managed with decompressing gastrostomy and transgastric FJ and analyzed prospectively. Results: Male to female ratio was 1.7:1. Mean birth weight was 2.2 kg. Anastomotic gap ranged from 0 to 4 cm. The amount of leak was more than 20% of nasogastric feeds. Gastrostomy and FJ was done on an average of the 12 th postoperative day, after observing the general condition, chest tube output, lung expansion, and ventilatory requirement. There was a drastic reduction in chest tube output and lung expanded in all patients. Average hospital stay was 36 days (8-80 days). Sixty percentage patients were discharged successfully on FJ. Esophagogram demonstrated healing and leak free patency after an average of 1.5 months. GER was noted in seven patients, four developed stricture, and one had pseudodiverticulum in follow-up. 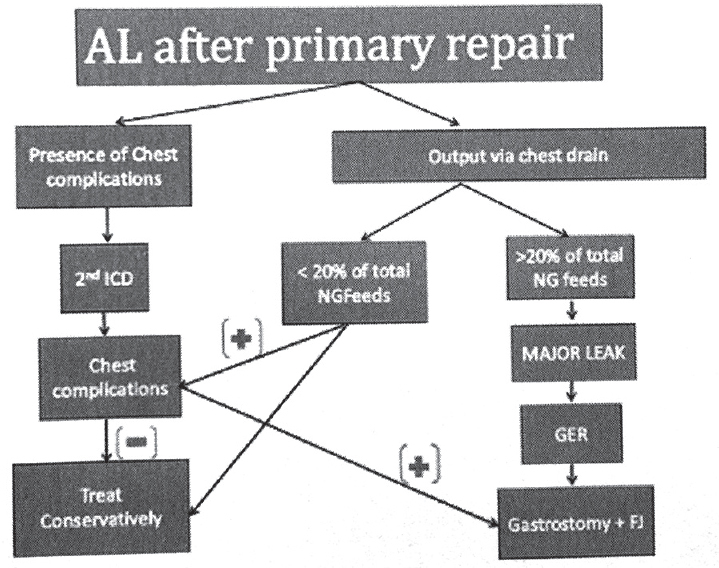 Conclusion: Decompressing gastrostomy and FJ can be an alternative to managing major ALs. It helps in healing of anastomotic dehiscence and in preserving the native esophagus. Purpose: The Bladder Exstrophy-Epispadias Complex (BEEC) is the most serious form of midline abdominal malformation. The etiology of BEEC is unknown and is thought to be multifactorial. Methylenetetrahydrofolate reductase (MTHFR) polymorphism C677T is strongly associated with other midline abnormalities such as neural tube defects. No proper case-control study existed comparing MTHFR polymorphism with BEEC. 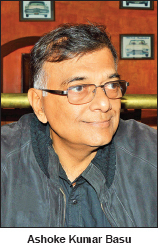 We sought to find an association with MTHFR polymorphism and patients with bladder exstrophy (BE). Materials and Methods: The design of the study was a case-control study, involving 50 children with BEEC and 50 normal healthy school children. 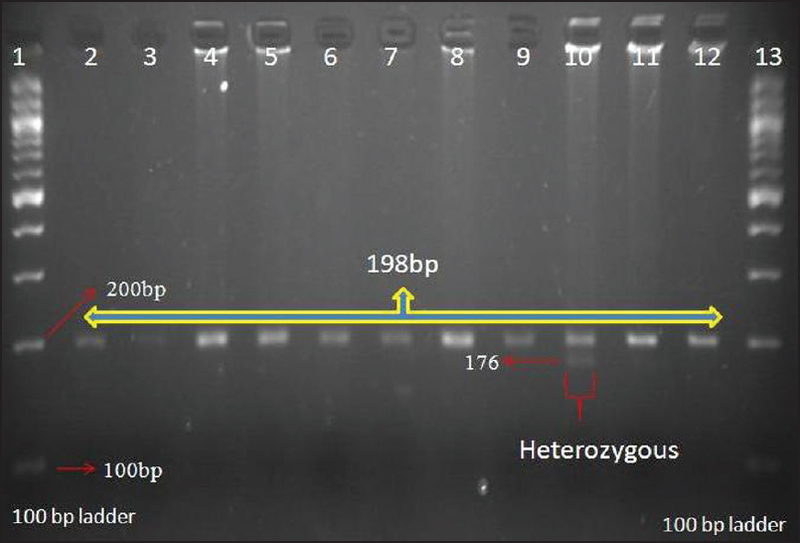 Genetic analysis for MTHFR 677 polymorphism was carried out after DNA extraction and polymerase chain reaction amplification. Epidemiological analysis was done by using the birth defect questionnaire on parents of BEEC. Results: Forty-two classical BE, two cloacal exstrophies (CE), four epispadias, and two exstrophy variant patients were a part of this study. Severe variety of BE had a significant association with C667T MTHFR polymorphism as compared to the normal control population (P = 0.01). Conclusion: C677T MTHFR polymorphism has a strong association with severe variety (CE) of BEEC occurrence. Omental infarction is an uncommon cause of acute abdomen in the pediatric population. We report a case of a 4-year-old male child with right iliac fossa pain. The final diagnosis was made on ultrasound and computed tomography findings. This entity needs to be differentiated from acute conditions like appendicitis, avoiding surgery. We report a case of dermoid cyst in an undescended intra-abdominal testis, which presented with torsion and gangrene. 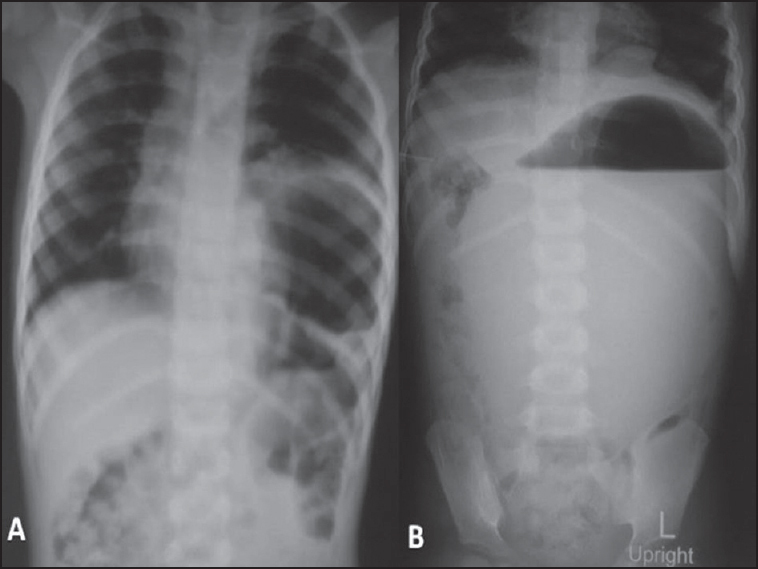 Congenital diaphragmatic hernia (CDH) is a known cause of secondary gastric volvulus. 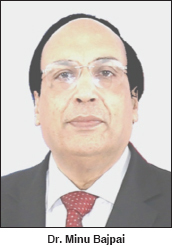 It is also known that bronchopulmonary sequestration (BPS) may be associated with CDH. An extremely rare case of BPS associated with gastric volvulus in a girl with left sided CDH is being reported. Reconstruction of hepatic veins in living donor liver transplantation (LDLT) is often technically challenging and a good venous outflow is essential for survival of the graft and patient. 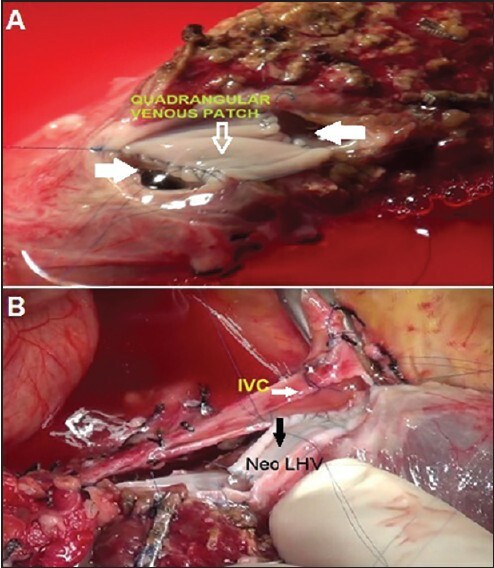 We describe a quadrangular patch venoplasty technique used for the reconstruction of a rare variant of the left hepatic vein (LHV) in a pediatric LDLT with left lateral segment (LLS) graft. 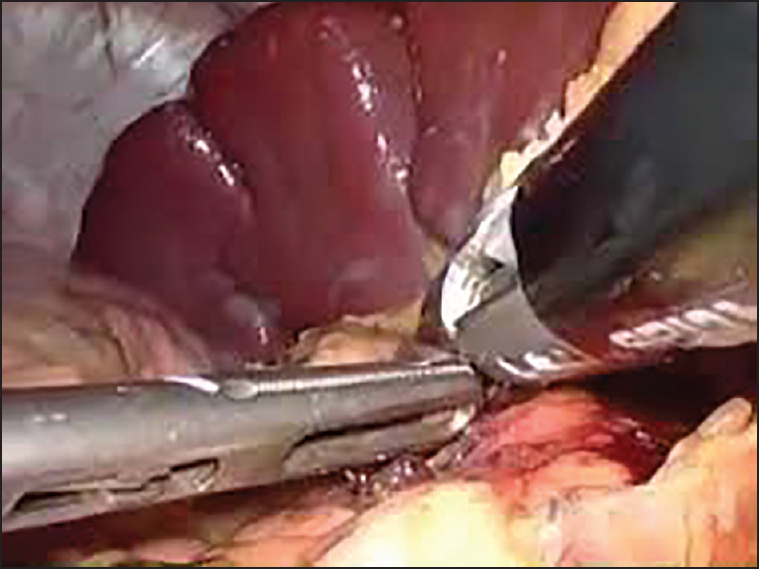 Segment II vein in the graft was draining directly into the inferior vena cava (IVC) and segment III vein was draining into the middle hepatic vein (MHV) after receiving a tributary from segment IV so that there were two widely separated ostia at the cut surface. This is one of the rarest variations of the LHV and is so called type 3 variant; it is usually reconstructed using interposition tubular conduits necessitating two separate anastomoses at the IVC.